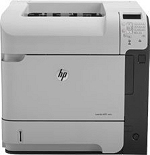 Portland Printer Repair provides mobile laser printer repair and maintenance for Hewlett-Packard and Lexmark laser printers, serving the Portland, Oregon metropolitan area. We bill time and materials. Time is billed in half hour increments after a one hour minimum. Most repairs can be completed within the first hour.